There are lots of other spaces in a home. It’s just that the big spaces like kitchens, bathrooms and living rooms get all of the attention. 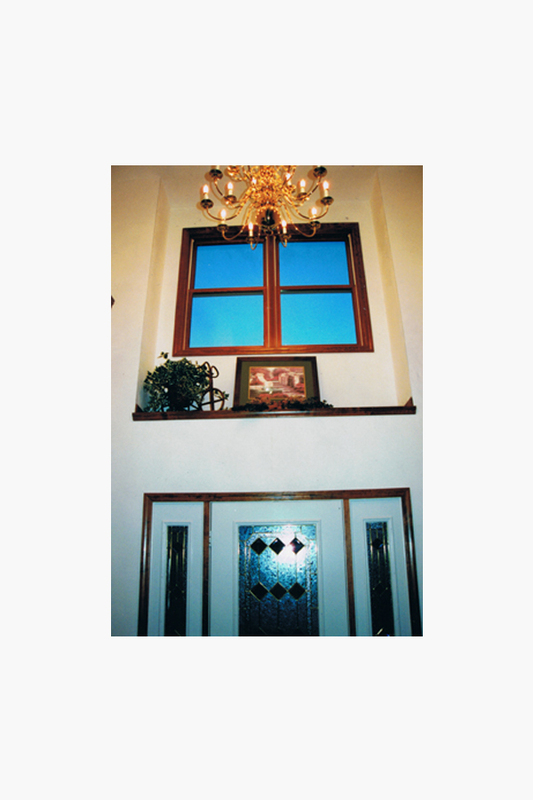 But you need entryway ideas and dining room ideas. And what about finished basements, sunrooms and home office spaces? We can help with those spaces too. They may look different, but the same principles of function and design apply. This couple needed some entryway ideas to make their entryway look more sellable. The toile wallpaper was just too much for the space and the number of walls. And it was fighting with the black and white tile. They wanted to save money and work by not replacing the tile floor that also ran into the kitchen. 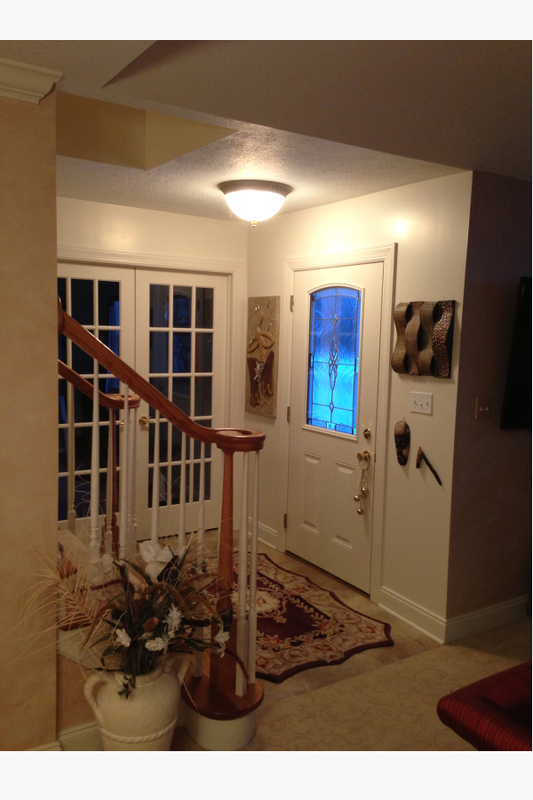 To take the attention off of the floor and make the entryway look more welcoming, we created custom built wainscoting and then painted the walls and trim to neutral tones. 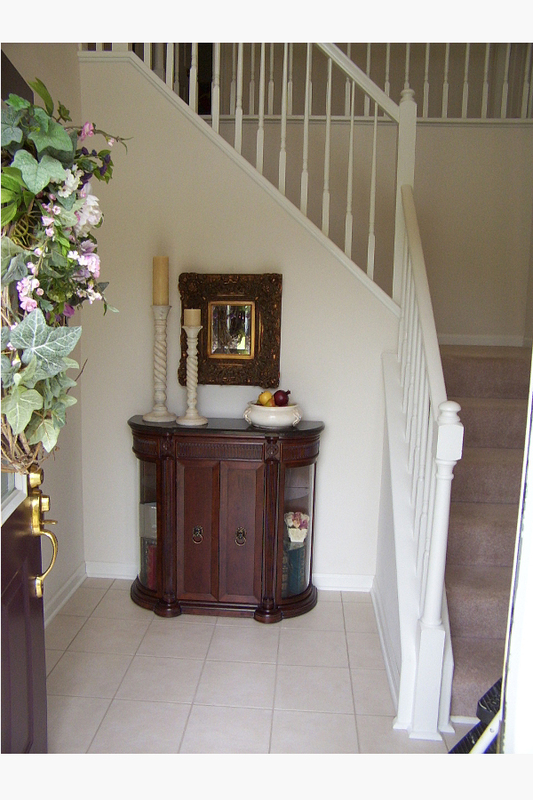 This client didn’t need entryway ideas. They knew they wanted to change the swirled plaster texture with someone thing softer. So, we created an old world plaster finish and completed it with a hand-waxed finish. It gives a soft look and warms the space. We worked with a couple that was flipping a house. 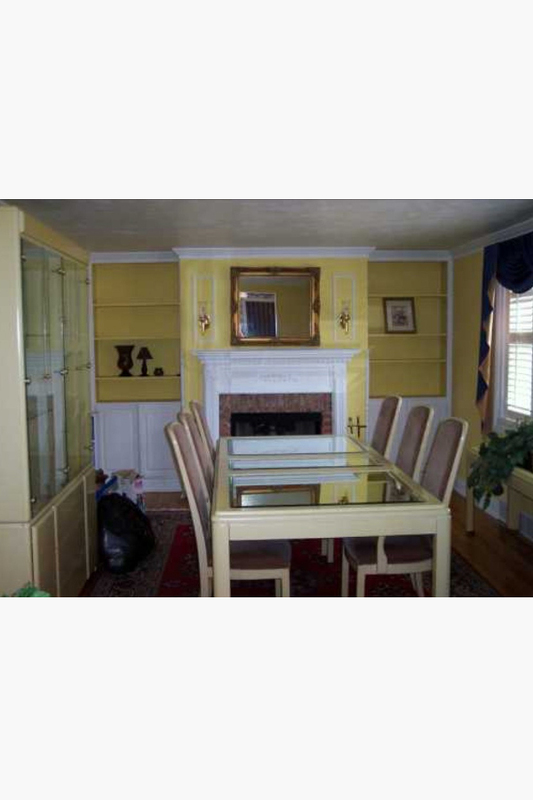 We think the original owner thought they were creating a designer dining room. But it was now under new management and they definitely needed some new dining room design ideas to sell it. This client needed some dining room ideas to make the space look less cluttered. We decreased the size of the window treatments so that it didn’t cover the whole wall. We added a chair rail and darker colors to give a hierarchy to the room. This entryway had a harsh white steel entry door and the builder’s flat white walls. So, we warmed up the space by doing a faux bois (fake wood) finish on the doors to match the floor and a pearl plaster finish on the walls. This was a tiny space and didn’t need many entryway ideas. Sometimes a small space is a great opportunity to use a darker color. A dark paint color set off this space, but was not oppressive since it was so small. 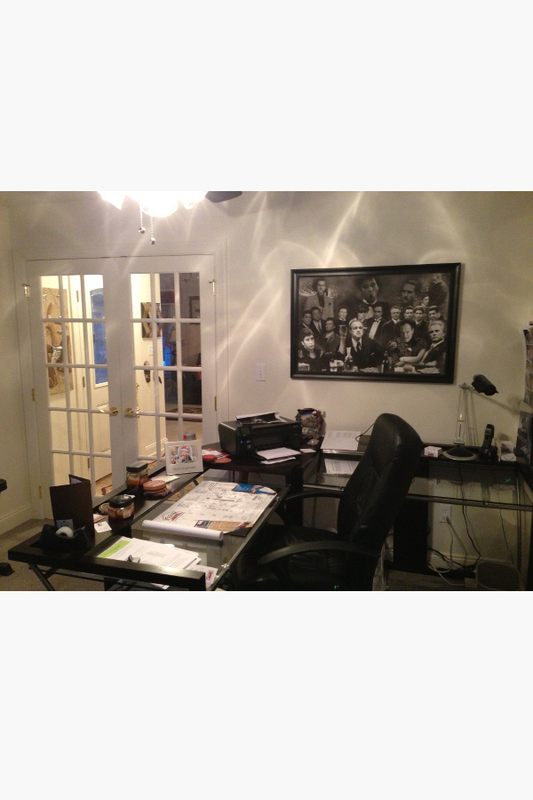 This home office felt a little harsh with just the original flat white paint that the builders used. We warmed up the home office with a grey finish that looks like suede. We also added black cording as a strong separation between the ceiling and the wall. We warmed up this sunroom with sunny colors and a warm texture. Even the laundry room can use some attention. 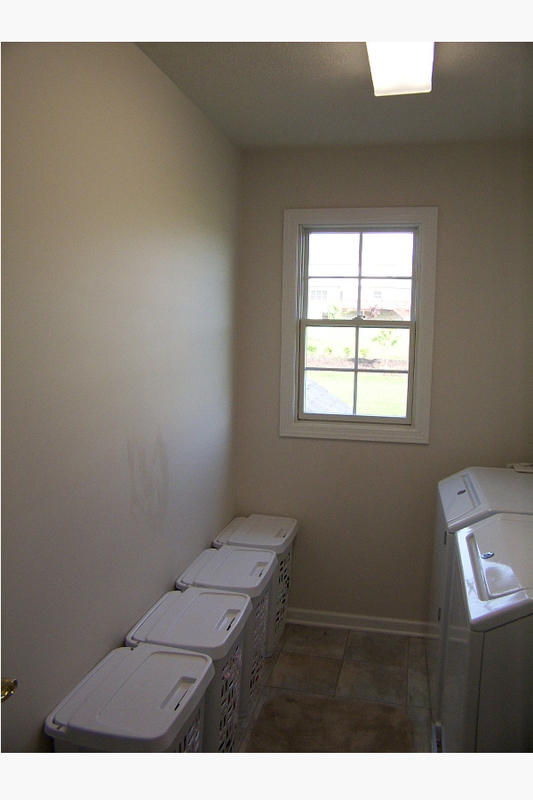 This family wanted their laundry room personalized to encourage the kids to actually use it.